Are you ready to make better hiring decisions? 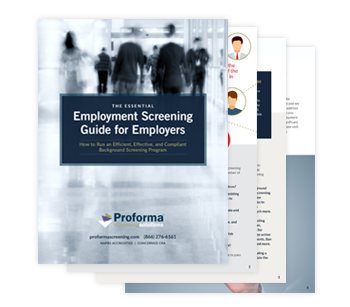 On the surface, employment screening seems like a simple task. Sign up, run the background check, check the box! Not so fast. Smart employers know there’s more to the equation and the only way forward is a smart, well-planned approach. This essential guide offers valuable insight and tools to help you make better hiring decisions, avoid compliance mistakes, and build a safer, more productive workforce. Complete the form on this page to download your copy of the guide.